We offer an excellent range of Precision Welded Components is useful in several engineering industries. These are available in various sizes as per the thickness and length. These Automobile Industrial Pressed & Welded Components have high performance and are widely demanded due to dimensional accuracy, durability and toughness. 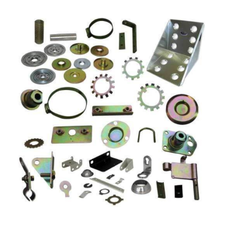 These Automobile Industrial Pressed & Welded Components are supplied to several automobile industries throughout the world. Our range finds with usage in Spot and Projection Welding of Automobile Components Nut Welding Sheet Metal Pressed Components, and Cross Wire. The friction welding produces full-face homogeneous joints, thus these are widely used in various industries and considered as extremely reliable production method. Looking for Precision Welded Components ?